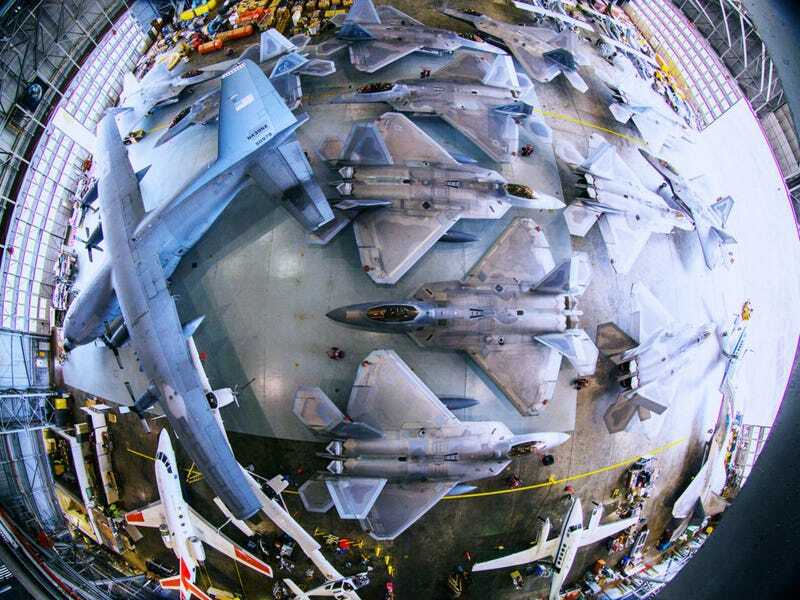 When TS Hermine threatened the East Coast last week, the Air Force needed a place to shelter a few F-22s for safe keeping. So they turned to NASA, who not only had a hangar at their Langley research facility that was hurricane proof, it was also big enough to stash 13 Raptors from nearby Langley AFB, along with a C-130 from Wallops Island Flight Facility and a number of other aircraft. At over 85,000 square feet, the hangar had been built back in the 1950s to house the monster Convair B-36 Peacemaker and could withstand a Category 2 hurricane. Fortunately, TS Hermine largely puttered out before reaching the Virginia Peninsula. But the Air Force was pleased that their $1.8 billion investment was secure. And NASA was glad to help. For a little perspective, the $1.8 billion wrapped up in those Raptors represents 10% of NASA’s annual budget.